Each additional shipping cost: USD$8/Unit. 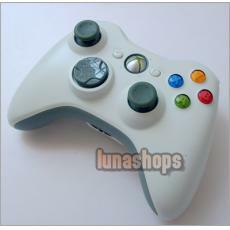 The wireless receiver is not including,This controller is 100% Genuine original and brand new!! Never be used. No refurbished , no copy. The controller will be shipped without the plastic packing . Using optimized technology, the Xbox 360 Wireless Controller lets you enjoy a 30-foot range and up to 40 hours of life on two AA batteries. When they run low, you're given ample warning so you can connect a Play & Charge cable for uninterrupted play (not included). Plug an Xbox 360 Headset into the controller for full duplex voice communication: a wireless first! 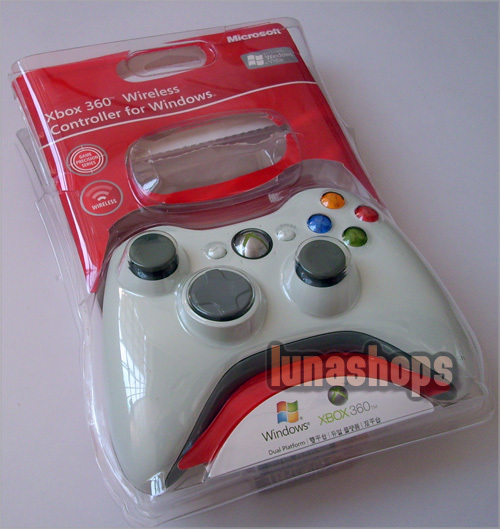 With quick access to Xbox 360 features including DVDs, music, pictures, and more, along with the ability to support four wireless controllers simultaneously, gamers can experience wireless freedom, precision, high quality, and performance for endless gameplay. Experience easy Vibration Control with a simple On or Off setting to match your personal preference The Xbox Guide Button at the center of the controller gives you quick access to all your favorite Xbox 360 system activities, such as watching movies, listening to music, contacting friends on Xbox Live, and customizing your gaming experiences. Easily jump to the Xbox Gamer Guide or Xbox Live Marketplace.